We live in an era where change is sweeping the world of small business. Online business has created a whole new avenue for people looking to establish their businesses. Many consumers would rather shop online than in-store. 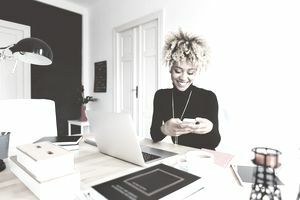 For e-commerce businesses, the ability to connect with customers through the web in a way that was just a pipe dream in the past is just one of the many advantages of e-commerce. We are referring, of course, to social media. Through this incredible tool, you can now establish a link to your demographic that is direct, personal, and practical. In fact, customers now expect to find a social experience and online customer support from any e-commerce websites they patronize. Those shops that fail to offer a positive social experience risk losing customers to someone who will fulfill their desires. That's why you need to get your e-commerce social media strategy right. When speaking to the owners of e-commerce sites, it's amazing how often they confuse social marketing and social shopping. While both should be utilized by the savvy e-commerce professional, they are not the same thing. Social marketing is the use of social media platforms to help promote your business. Usually, this is done through direct engagement with consumers—holding contests, updating status messages, asking for feedback in replies, and the like. It may also be done by creating content aimed toward sharing, such as YouTube viral video campaigns or Pinterest boards. Social shopping is about making the shopping experience available on social media sites and hopefully encouraging customers to share their purchases. For example, you might set up a shopping cart on Facebook, allowing customers to buy right on the "liked" page. Social marketing presents one more avenue for e-commerce marketing. The premise is simple. If your customers are congregating at and listening receptively on Facebook, then it makes sense to talk to them on Facebook. It would be arrogant to tell the customer that you will communicate with them only if they visit you on your website. Online, it is the business that has to go the customer, not the other way around. Social marketing permits the e-commerce merchant to approach the customer when they are in the mood to get engaged, in a setting that the customer has chosen. Though the purpose is different, social shopping can be an extension of social marketing. While social marketing seeks to engage the customer on social platforms, social shopping goes a step further and says, "Why just engage, why not complete the sale transaction entirely on the social platform itself?" If one thinks about the time that people spend on their social accounts, it becomes easy to understand why it makes sense to facilitate social e-commerce transactions. Though there are several social platforms, the one that seems to most easily adapt to e-commerce is Facebook. And we say this not just because Facebook founder Mark Zuckerberg would also like to position Facebook as the next e-commerce frontier. Is It Possible That Your E-Commerce Business Is Not Yet on Social Media? While most e-commerce businesses have established some kind of a presence on social media, there are still several who are losing out on the opportunity of a lifetime. In calling it that, we do not want to overrate social media. Along with being great communication vehicles, social platforms are also becoming an increasingly important part of your customer's daily lives. As a result, you cannot afford to miss out. It is important that you realize the right way of gaining from social media. But it is equally important that you avoid making common, and sometimes grievous, mistakes in your social strategy.